This article first appeared in the Council on Hemispheric Affairs biweekly publication, Washington Report on the Hemisphere (WRH). For more information or to receive a sample issue of the WRH, please email our subscription manager at coha@coha.org. 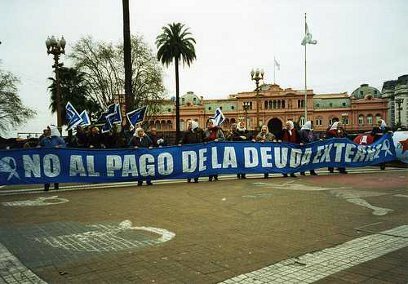 In 2001, Argentina defaulted on $80 billion USD worth of bonds, a move that received widespread international condemnation. In 2005, the country was able to renegotiate the terms of its debt, a process in which a great percentage of its creditors took a large haircut and accepted GDP linked exchange bonds at 25 to 29 cents on the dollar. Five years later, the remaining creditors were offered a similar deal. A majority accepted, bringing Argentina’s total restructured debt to 93 percent of the amount on which it had defaulted. 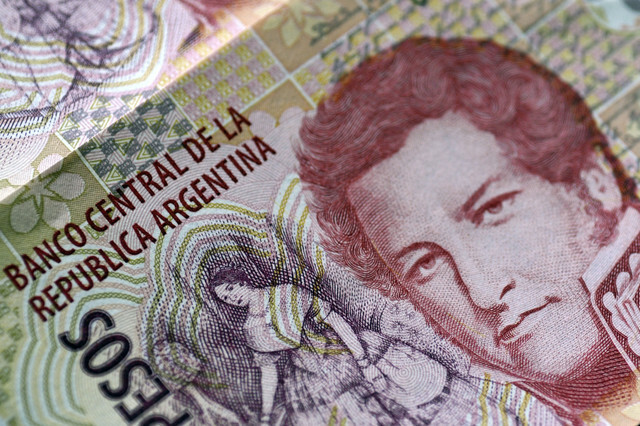 Argentina’s debt restructuring process can be categorized as a giant diplomatic headache. Although 93 percent of the country’s debt was settled or restructured by 2010, the creditors holding the remaining 7 percent have continued to attack the Argentine government. The holdout creditors, otherwise known as “vulture funds,” have attempted to seize precious Argentine artwork, the country’s presidential plane, and personal holdings of prominent politicians. One of the funds spearheading the seizure attempts, NML Capital, actually seized an Argentine naval vessel in Ghana as it concluded a tour to several countries in Latin America, Europe and Africa. The various attempts to seize Argentine property abroad represent an attempt to enforce the judgment of the federal judge for the United States Southern District of New York, Thomas P. Griesa, which totaled $1.33 billion USD. Argentina’s experience serves as a case study of the need to improve the overall system of debt reorganization. Currently, the system includes too many moving parts and relies on a process that would undoubtedly benefit from a unified code of international law in order to prevent actors from manipulating the system to the detriment of the global economy as well as local economies. An example of such manipulation can be seen in the actions of NML Capital. This hedge fund turned “vulture fund” began litigating in the early 2000s to secure payment from the Argentine government for bonds it had purchased at a sharp discount. At the beginning of the process, the hedge fund’s lawyers indicated that NML Capital had no intention of enacting the pari pasu clause “at any time in the near or distant future” in order to hold hostage the debt restructuring process and in the process make a large profit. The pari passu clause basically says that all creditors are due equal treatment, meaning in this case that the Argentine government would be at fault for not having settled with the full 100 percent of its creditors on amicable terms. Despite NML’s claims of good intentions, five years after approximately 93 percent of the Argentina’s creditors had agreed to a restructuring deal awarding but cents on the dollar, the vulture fund dug deep into its bag of tricks and cried foul, claiming a violation of pari passu. NML Capital was, at the time, under the impression that they could negotiate or at the least litigate their way to a more favorable settlement after almost all of Argentina’s bondholders had agreed to take a haircut, an investor’s term referring to the steep losses accepted by the banks. As a result of this manipulative behavior, not only has NML Capital along with a few of its hedge fund brethren been labeled as “vulture funds,” but also there has been a widespread call to establish an international organization with the power to carry out future sovereign defaults. When considering the prospect of such an entity, one should not ignore the numerous inefficiencies that plague international organizations and courts today. Even if an organization might have headed off the current stalemate between Argentina and its hold out creditors, it is difficult to imagine how such a body would be organized and with what powers it would be endowed. Regardless of the ultimate ruling, it is important to consider how an international entity might have prevented the ensuing legal and diplomatic tangles. As previously mentioned, there are a number of “moving parts” to the contemporary debt restructuring process. NML Capital, for example, received a judgment in New York, and used it to file an injunction in Ghana against Argentina. Each country has its own set of sovereign laws, which makes it difficult to understand the legitimacy of one set of them over another. While this problem is one of many, an international court might have prevented such seizures from ever taking place, and in the process eliminated the uncertainty that they have caused not just for Argentina but also for all parties involved in sovereign debt issuance. Instead of suffering this quixotic confrontation between sovereign and creditor, the international community could endow an international court with the power to order the parties involved in litigation to reach an agreement, much to the benefit of global financial stability. The idea of such a court has been tossed around for decades. The International Monetary Fund (IMF) made the most recent push toward such a body as recently as 2002. According to the Financial Times, the IMF “envisaged…a kind of voluntary Chapter 11 for countries,” but was unable to gain traction for the idea after the U.S. made clear its opposition. In any case, NML Capital demonstrated the ease with which a small percentage of holdouts can undermine the entire process; thus the continued need for a new structure. In respect to Europe, a region already plagued by financial struggles, former chief economist at the World Bank, Anne Krueger, argued that a Sovereign Debt Restructuring Mechanism (SDRM) “could have prevented all sorts of problems,” demonstrating that a common need clearly exists beyond Latin America. Had there existed an SDRM, perhaps Argentina and Ghana may have avoided completely the rather despicable incident surrounding the Argentina military vessel Fragata La Libertad that occurred during the last months of 2012. It is interesting that when Argentina initially took their complaint to the United Nations, UNSC President Gert Rosenthal said that, “this case is not exactly threatening world peace,” and believed, therefore, that the international organization should abstain from ruling on the case. Eventually the United Nations ruled in favor of Argentina and ordered Ghana to unconditionally release the ship. Regardless, it is clear that there is at present a need for an international organization with specific jurisdiction over such disputes. The implementation of a SDRM, such as the one proposed by the IMF in 2002, would likely be confronted with significant obstacles. With the financial capital of the world located in New York, an autonomous SDRM could mean a diminished role for the United States, with less influence over international financial markets. In addition, the United States has the largest share of votes in the IMF at 16.75 percent (Japan comes in a distant second with a 6.23 percent voting share). Both Washington’s unfairly weighted influence within the organization, and its unwillingness to cede Wall Street’s privileged position as the global financial capital, makes any SDRM proposed by the IMF unlikely to succeed. Given the difficulties the IMF would have in generating an international mechanism, one could entertain the idea of creating a new mechanism using perhaps the International Court of Justice (ICJ) as a template. Based in The Hague, the ICJ’s “role is to settle, in accordance with international law, legal disputes submitted to it by states and to give advisory opinions on legal questions referred to it by authorized United Nations organs and specialized agencies.” However, if the SDRM is modeled after the ICJ, or any other traditional international court, then it will most likely suffer from similar inefficiencies. 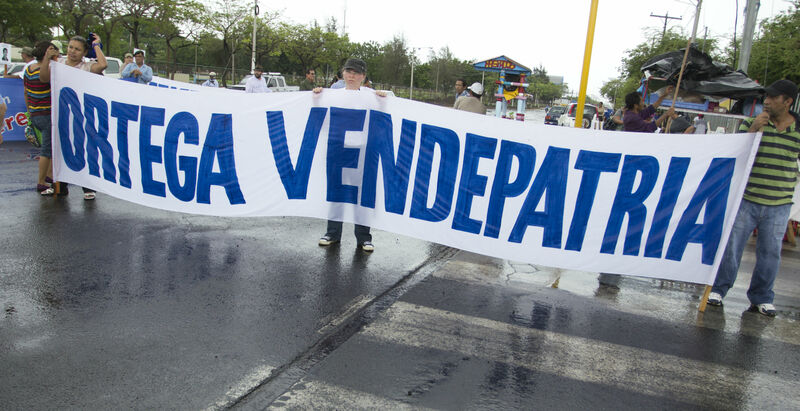 For example, The Guardian referred to the ICJ’s ruling against the Untied States in 1986 when it found that the U.S. military intervention in Nicaragua violated international law. Ultimately, the Unites States ignored the court’s ruling, as they did not even show up to give their final argument. The challenge with international bodies, such as the ICJ, and the same that would exist for an SDRM, would be inducing compliance, a difficulty long confronted by international organizations. Sovereign debt restructuring can be a complicated and sensitive process. A SRDM, however, may be more ideological than practical. Washington’s influence over the IMF all but guarantees that the organization will not adopt such a measure. In any case, the current procedures have exposed too many weaknesses, and international law can be manipulated for the highest bidder. Therefore, Argentina’s debt organization process, if nothing else, has clearly demonstrated that the vulture funds’ day in the sun must be ended sooner rather than later. In a best-case scenario, an institution whose decisions would be legally binding and enforceable should be created. In the wake of what has been a diplomatic headache, this positively daunting task now has the creative power to give impetus to the process. It would be ironic if the catalyst to bring about such change turned out to be the unrelenting greed of one of the most notorious vulture funds, NML Capital. At its heart, at least a mechanism would level the playing field, and hopefully shift the existing balance of power away from predatory organizations. Please accept this article as a free contribution from COHA; but, if re-posting, please contact coha@coha.org for prior permission.